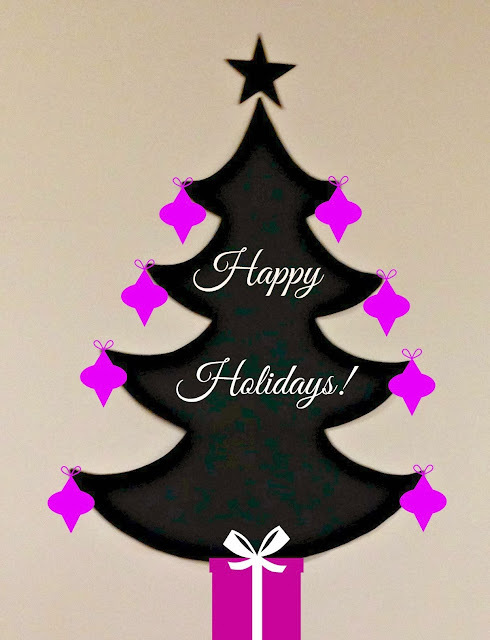 In December I featured some of her amazing creative tutorials which she shared with us all on Tutorial Thursdays Linky Party. And this fantastic ornament wall tree! She replied: "I've always enjoyed crafting . . . something my late mother-in-law inspired me to do more of. I'm a lover of purple and my interests are many. I'm always trying a little bit of this and a whole lot of that which usually results in something unique (I hope). I love inspiring others and enjoy sharing my projects with step by step picture tutorials." I asked her to tell us all a little bit about herself. Gail: "I love reading and sewing (when I'm not crafting), decorating, gardening and sometimes cooking. I met my hubby at vacation bible school over fifty years ago and we have one son whose a writer." I look forward to seeing you again this week. 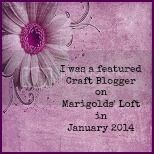 Thank you so much Natalie for choosing me to be the featured craft blogger this month! What an honor! And thank you for giving all of us the opportunity to post our creativity on Tutorial Thursdays Linky Parties week after week. Marigolds' Loft truly ROCKS!! !